* All ranges and boilingtops have laser cutted 2 mm thick deep drawn monoblock tops to ensure easy cleaning and extra strenght * The four cast iron plates are hermeticaly sealed to the one piece top. * All hot plates have safety switch against over heat. 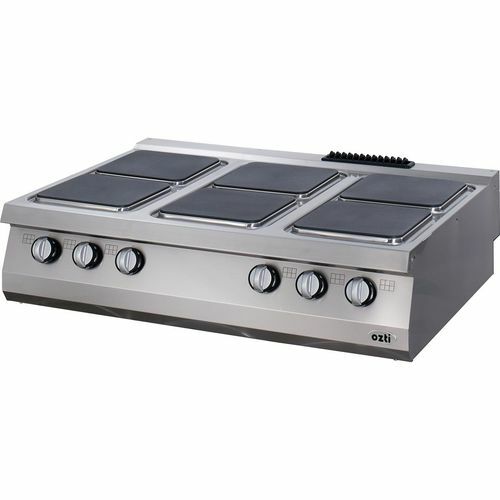 * Each hot plate have six positioned adjustable controller units which can regulate temperature between 90-450 °C and thus increases user abilities.